Ecotopia Biketour 2017 will start on Thursday, 29 June in Strasbourg, France and end almost 3 months later in Catalunya, probably in/near Barcelona. Find a more detailed route plan here. If you want to cycle with us, please register! We are looking for initiatives, projects and camps to visit on the way. Please read and spread our Call-out for Projects. 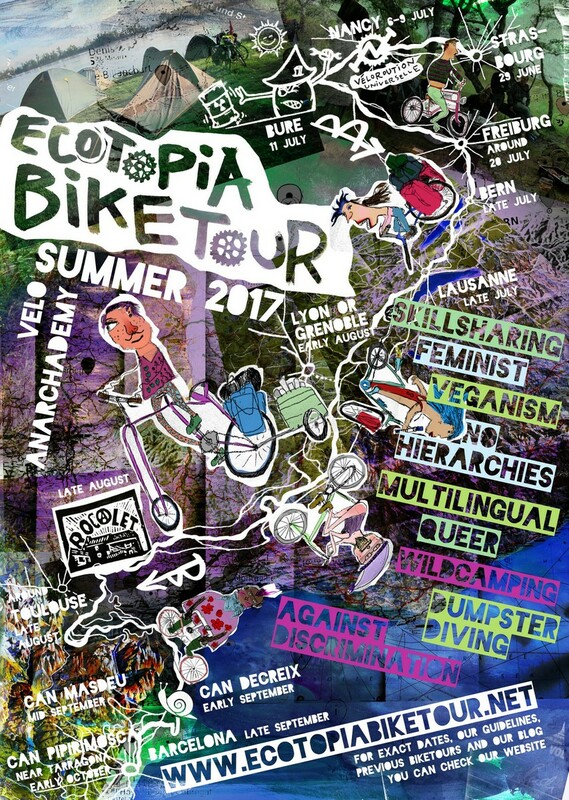 If you want to join the preparation process read how to get involved and write to 2017@ecotopiabiketour.net.